Mutual Assurance Society and funeral service provider AVBOB’s sponsorship of a Poetry Project in 11 official languages is a rare feat – not quite advertising, not quite marketing, yet wholly and wholeheartedly committed to the organization’s core target markets in their hour of need and in their language of c hoice. Given the fact that we’re talking about policyholders, this is not a task for the meek. Rather, judged by the intentions and integrity of AVBOB CEO Frik Rademan, it is an honourable challenge befitting a gentle giant – merging, and harnessing the mechanics of mass communication to reach individuals at their most vulnerable, in the style and manner most appropriate to their grief. To begin to understand the depth of AVBOB’s commitment requires an understanding of what the organization is ultimately about, and it is not, as conventional wisdom would have it, about death. “AVBOB does not sell death,” Rademan’ says, “We sell hope.” And the purpose of the Poetry Project, he adds, is not to get ‘free’ advertising, but to get close to their policyholders. Differently put, the Poetry Project is a unique embodiment of their slogan, ‘We’re here for you’. So, to commend AVBOB for contributing towards the arts and not, say, towards rugby or Formula 1 racing, or for merely doing something out of the conventional advertising box, would be missing the mark. The clue to the real nature of this singular sponsorship lies in a calibre of caring that is deeply woven into AVBOB’s DNA. To understand that DNA, Rademan says, one has to understand the history of what has become one of South Africa’s most iconic, and sympathetic, brands. And to do this, one has to go back to 1918, when South African soldiers returned from the Second World War – only to be greeted by an epidemic of Spanish Flu. “During this time, more people died in one day than would normally pass away during a month,” he explains. “And there were no funds for funerals. The nation was on its knees.” In response to this tragedy of literally epidemic proportions,the mutual association that would become AVBOB was started by people, for people in need and in mourning. In line with this need, the Poetry Project is aimed at building up a library of elegiac poetry in all 11 official languages, which will enable policyholders to find the words to explain or express their grief – whether it is for a moment’s consolation or a funeral letter. While the primary focus remains with the bereaved, the Poetry Project also holds considerable benefit for poets. Comprising a comprehensive competition including wide exposure and considerable cash prizes, the initiative is likely to catapult both established and new poets from the margins to the mainstream of culture. Hence, says Rademan, the creative rationale behind the Poetry Project: to connect poets and readers who have shared similar experiences about life and death. That he has managed to take on this daunting challenge by harnessing the often practically unwieldy reality of our 11 official languages, says as much about the man as it does about the brand. It is an association Rademan takes on with great caution and respect. And he remains ever mindful of the fact that poetry is one of the most ancient creative disciplines and, at the same time, one of the most vibrant and vigorous forms of social commentary, whether the poet is a philosopher or a scientist, and whether the winged words are uttered from behind a university podium or around a braaivleis fire. And so, with the same rare and subtle marketing alchemy with which he has transmuted death into hope,and a strategic brand positioning into a heartfelt presence, Rademan will continue to inject the passion of poetry into the process of grief, conveying consolation on a singularly fragile human frequency. And, in so doing, turning the tragedy of bereavement into an opportunity not only for consolation but for connection. AVBOB. From saving a people to serving a nation. The AVBOB brand, over time, has come to be seen as a metonymy for funerals in the South African collective unconscious – a catchword, if you will, for the custodianship of a changeless ritual. But achieving the status of a household name is not always enough to secure market loyalty and guarantee sustained growth. All brands need to demonstrate an evolution in response to the changing challenges and reveries of their customer base. Indeed, it’s simply no longer enough to be known; it’s about being wanted. And AVBOB, now celebrating its centennial year, has achieved that. Yet, paradoxically, this evolution has only been made possible by a dogged determination to stay true to its core: At heart, and in spite of 100 years of history, AVBOB is an undertaker. But it represents so much more than a solicitous terminus for citizens and statesmen. It is a bereavement counsellor, an insurance provider, a mutual assurance society (more of that later), a champion of literacy, a builder of schools and libraries, a sponsor of poetry and song, 100 years old. And clearly 100 years strong. Where does this resilience emanate from? How does an organisation weather and embrace 100 years of change and upheaval on the political, social and economic fronts? The answer?Authenticity. The organisation has never pretended to be anything other than what it was. No flash and frills, no fake or faux. It has always remained true to its foundational moment, rooted in a deeply humanitarian spirit. In an epoch of endless elasticity, it’s difficult to speak of undiluted essences, but the organisation’s leadership has fought for their ‘One AVBOB’ policy – a policy that promises an integrated, responsive, consistent experience for their diverse client base. It’s the Disney model, only for death. But, unintended flippancy aside, in an age of constant disruption and disclosure, some things still hold true: enduring human truths, ageless experiences that connect us across cultural divides, that still inhere in the languid interstices of our long-suffering hearts, which will not be eroded by technology, trickery and trend. A little old-fashioned goes a long way. Especially in a multi-generational space, in cultures where elders are still valued and not symbolically forced under erasure – or worse, simply rendered invisible. AVBOB has intuitively tapped into the great tap root of family. Indeed, their ecosystem is all about family – a wonderfully convoluted, expansive and inclusive family model. Products like their Cashback funeral policy allow policyholders to add their deceased sibling’s children to their policies, for example; in a sub-continent with its fair share of child-headed households, this is the undoing of a consumer tragedy in the making. Through their policies, the fold of family is doubled up, over and under, with in-laws – both civil and uncivil, and traditional – multiple spouses, and extended family members like brothers, sisters and grandparents included in the merry mix. Their marketing team implicitly understood the novel family formations on South African soil, and tailored their packaging for their varied markets, so that no one is left out, or left behind. When AVBOB claims, through its brand positioning, that ‘family comes first. Always’, it’s a perfectly legitimate claim. But when was the concept of family first conceived? In the current narrative framework of storyscaping, AVBOB has one hell of a story to tell, one extraordinary experience to expound on, spanning 100 years. And, like all great family dramas, it’s a yarn worthy of the Ancient Greek playwright Euripides, who gave a voice to the underrepresented members of society, and a final place to rest. ‘In my beginning is my end’, says the poet TS Eliot. And so it was with AVBOB. In the darkness and death following the Anglo-Boer and First World Wars, and with the outbreak of the deadly Spanish flu in 1918, the South African landscape was littered with the graves of those devastated by disease and poverty. In this apocalyptic climate, a new anxiety arose: how would people pay for funerals, and how would they ensure that these rituals were dignified? In the midst of this turmoil, a partially-blinded schoolmaster, HH van Rooijen, took it upon himself to create a burial society – a stokvel, if you will – to provide a dignified burial for all the afflicted. He kept a chronicle of the time: “I cycle through Bloemfontein on my bicycle. The streets are empty. Offices and shops are closed. It feels to me as if this is the end of humankind.” What felt like the end of mankind was the beginning of AVBOB. In those days, the cost of a basic funeral was £25 – no decent funeral, however, but rather a mass burial. No matter how poor, no-one wished to end their days on earth with an improper interment. In spite of rampant poverty, people were forced to pay cash up front for funerals. For a post-war population already confronted with joblessness and endemic poverty, this proved punishing. So, van Rooijen set upon a simple premise: Each human being is entitled to a dignified funeral – a first-rate funeral, at an affordable price, which could be paid over an extended period. 100 years later, that foundational principle still holds true. But there were certainly some challenges along the way. When they formally set up shop with a yellowwood casket beautifully illuminated in the storefront window, locals gave the premises a wide berth for fear of lingering ghosts. This didn’t stop them from joining the society though. Van Rooijen’s approach was to put people first. The money, he believed, was secondary, and would somehow always follow. His policy to ‘put people first’ paid off, and the society grew steadily. In 1922, AVBOB purchased its first motor vehicle, transported by train to Bloemfontein. Gone were the plumed, horse-drawn hearses. In that same year, the society conducted its first state funeral – the first of what was to become an established tradition. With the outbreak of the Second World War in 1939, AVBOB faced a production crisis. Previously, all raw materials needed for funeral accoutrements were imported, and were now unavailable. So AVBOB began to manufacture all funeral goods locally. With the scarcity of sheet metal at the time, tin cans were fashioned into exquisite, hand-painted wreaths. The organisation was upcycling and was ‘proudly South African’ long before these terms even existed! As the organisation continued to grow, the slogan, appropriately, was ‘AVBOB is everywhere’. And AVBOB was for everyone. In late 1947, in a South Africa on the brink of apartheid, AVBOB became the first organisation to sell funeral policies to all racial groups, honouring its promise to render an affordable, dignified funeral to all South Africans. Throughout the turbulent political climate of the ‘70s – culminating in the tragic consequences of the Soweto riots – the organisation stood strong and provided funerals to community leaders. As anti-apartheid protest hit South Africa in the mid-80s, they were there to provide the funeral for the Reverend Petrus John Masango, Archbishop of the St. John Apostolic Church of South Africa. The ceremony was attended by 40 000 mourners. It was a dark day when, in 1995, they conducted the mass funeral of 104 mineworkers tragically killed in the Orkney mining disaster. But AVBOB is always at the coalface, at the graveside, on the other end of the line, when a loved one is lost. It’s this kind of immediacy – and intimacy – that differentiates it. Few brands can claim to be so firmly cemented in the national psyche. It’s for this reason that, on 5 December 2013, AVBOB was selected to lay our beloved Madiba to rest. An elegant, unpretentious coffin was chosen, with three red roses embroidered in the white lining. With the passing of Nelson Rolihlahla Mandela at the venerable age of 95, the full institutional and professional expertise of the undertaker came into force. Every last detail was meticulously planned and executed to ensure a fitting send-off for this beloved global icon. AVBOB and Madiba were born in the same year, and their paths had finally crossed. And the organisation’s path has taken it far and wide. They deliver on their brand promise, ‘We’re here for you’, by investing in communities across South Africa through their support of literacy and education. The establishment of the AVBOB Foundation bolstered this promise. With the launch of their Container Library Project, they delivered 50 fully-stocked libraries to underprivileged schools in South Africa (an additional 10 container libraries will be donated in 2019-2020). On Mandela Day 2017, in collaboration with the Department of Basic Education, they announced an investment of R150 million in the AVBOB Schools Infrastructure Project, to upgrade underprivileged schools – the largest investment in education made by a single organisation in the history of South Africa. On 13 August 2018, R15 million of the above investment was pledged towards the Schools Sanitation Project. And, once again, this is due to the fact that this is a philanthropic brand that believes in serving the needs of the nation. And it’s why it became a mutual assurance society in 1951. AVBOB’s key differentiator is its status as a mutual. Although many insurers have de-mutualised over the years, the organisation has stuck to this superstructure, ensuring a sense of buy-in and connectedness from its client base. As a mutual, AVBOB does not have shareholders with whom profits are shared. Policyholders benefit directly from the company’s success. In effect, the company is run solely for the benefit of its policyholders, and its surplus profits are allocated to its policyholders and members in the form of regular special bonuses and funeral benefits. In its centenary year, AVBOB allocated the single largest bonus of R3.5 billion to its policyholders. It’s a strategic advantage – and a philanthropic benefit – that few competitors can duplicate. In July 2017, in a truly unorthodox move, the company announced its sponsorship of a nationwide online poetry competition in all 11 official languages, open to all South Africans, with usage payments awarded to all poems published on the competition microsite (www.avbobpoetry.co.za). The inspiration for the competition came from people’s inability to express their loss in the face of bereavement. This was a consumer insight that the funeral provider was quick to address. Over 20 000 poems were entered across the country’s official 11 languages, garnering the brand a bottomless source of user-generated content, a social media following unseen before in the industry, and a platform for PR to shape the way people think about the brand. Indeed, the ongoing Poetry Project is a sustainable form of ‘soft power’ which no competitor can reproduce, in an industry characterised by competitive price wars. AVBOB gave the market the gentlest, most inclusive act of bereavement support. And more: a cash prize of R10 000 and book voucher of R2 500 were awarded to the first-prize poems in all 11 language categories, and a 100-poem print anthology resulted, including specially commissioned poems from SA’s top poets. The 100th poem was fittingly transcribed in the N|uu dialect, dictated by OumaKatriena Esau, one of the last surviving speakers. AVBOB sees itself as a beautiful work in progress, but it has already been hailed in the public space as a model for transformation. The organisation is determined to remain relevant and responsive to change, and its workforce, from the top down, is a diverse, inclusive community subscribing to a deep commitment to caring for all – not one privileged group at the expense of the others. 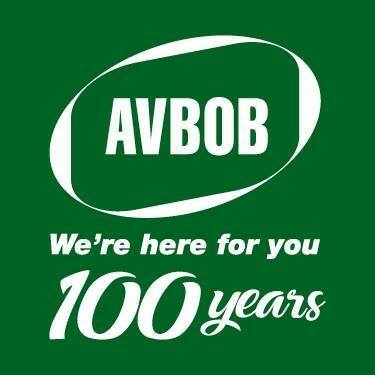 AVBOB has stood proudly in the service of South African families for a century. Their story, told over time, is woven together with a narrative thread that runs all the way back to that post-war world of devastation, and forwards to the future. AVBOB has grown from saving a people, to serving a nation. And like the baobab tree that was chosen as its centenary symbol – ancient and African, and able to withstand the vicissitudes of time – AVBOB intends to stand strong for its people, its family, for the next 100 years. Because, with AVBOB, family comes first.Always. This is where I began. through the rites of passage.